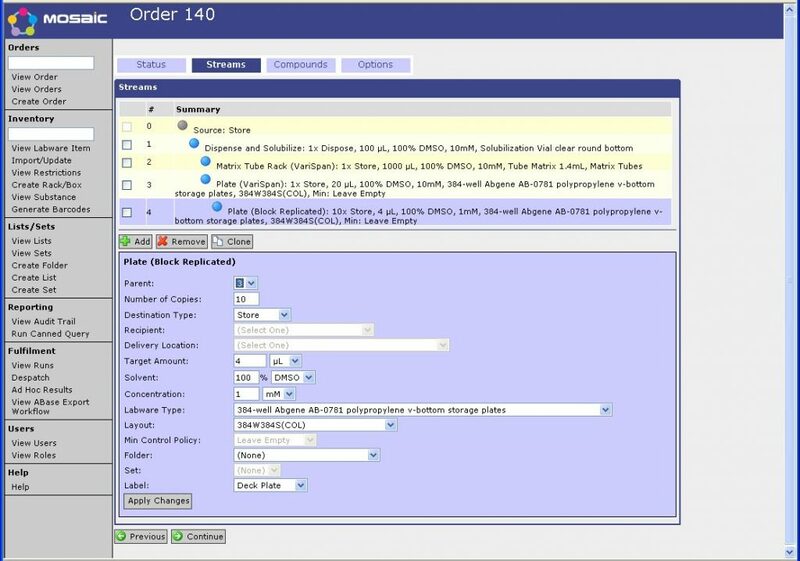 Mosaic Ordering allows multi-stage preparation and intermediate deliverables. For example, for compound preparation, a full, dry compound dispense and solubilisation, followed by mother plate creation, and then daughter plate creation is possible. 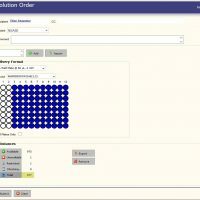 Mosaic Ordering also allows the administrator to define useful order templates, pre-setting the order parameters, and controlling which parameters are adjustable by the users (e.g. preferred delivery container, plate layout, volume etc). 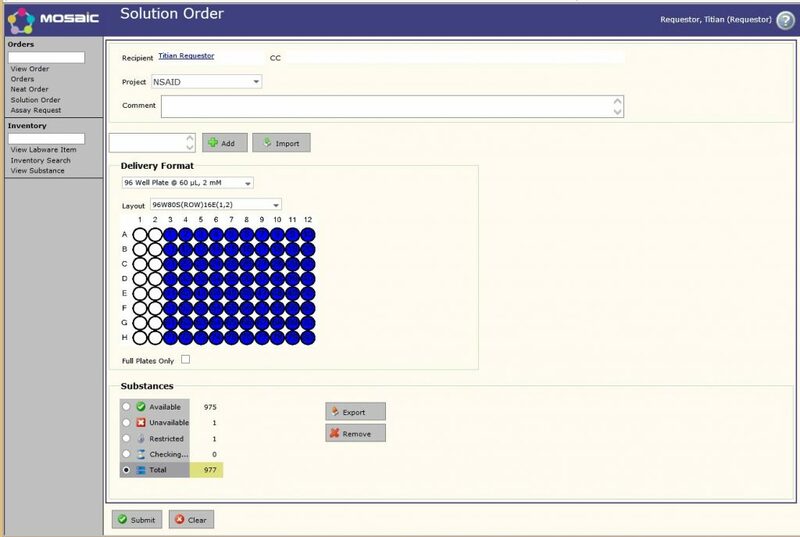 This helps to capture best practice and harmonise the operations in the sample bank. Mosaic Ordering can also be implemented programmatically via the Mosaic Ordering API.